Have a nice day and enjoy all year long. Blow out the candles on your cake and dream big. Happy Birthday, I love you Christian Card. Free images by mery bracho. 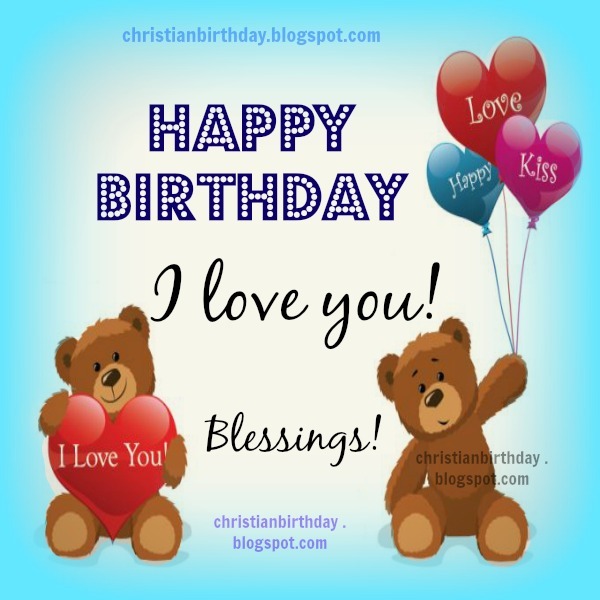 Free christian quotes for birthday children, woman, lovely bear.